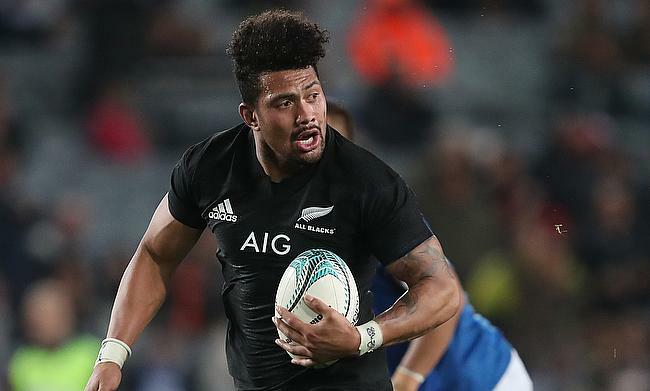 Ardie Savea scored the decisive final try in the closing stage as New Zealand came from behind to edge out South Africa 30-32 in the final round of the Rugby Championship at Loftus Versfeld Stadium on Saturday. The result has evaded South Africa a rare opportunity to complete a double over the All Blacks after previously beating them at Westpac Stadium earlier in the tournament. The All Blacks entered the game in Pretoria having already clinched the Championship for the third consecutive time and now end it with 21 points while Boks finish second with 14 points with the final game between Australia and Argentina in Salta having no bearing on these two positions. Handre Pollard got the home side off to a promising start with a fourth minute penalty goal when Kieran Read was penalised for an off-side. The World Champions continued with their infringements as Pollard slotted his second penalty kick in the 13th minute to double the lead. South Africa looked the dominant side among the two having bulk of the possession but Steve Hansen's side finally responded back with Beauden Barrett kicking back to back penalties in the 26th and 36th minutes as the teams headed into the break with a 6-6 scoreline. Rassie Erasmus' side were quick to get off the block in the second half as well with Jesse Kriel touching down in the 44th minute and Pollard kicked a conversion and a penalty to stretch the lead to 16-6 and it became 23-6 when Damian de Allende dotted down under the posts in the 52nd minute with the fly-half improving it. The visitors showed resilience as Codie Taylor breached the defence of the home side to send Aaron Smith over the line in the 54th minute and Richie Mo'unga kicked the extras but Cheslin Kolbe restored the 17-point lead for South Africa with his try in 59th minute followed by a Pollard's conversion. However, New Zealand showed why they are the number one ranked side as they controlled the final quarter with tries from Reiko Ioane (62'), Scott Barrett (76') and Ardie Savea (79') scoring tries while Mo'unga kicked two conversions to seal a thrilling 30-32 win.